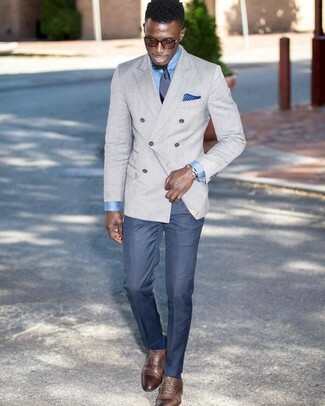 This combo of a light blue dress shirt and a navy suit is ideal when you need to look like a connoisseur of modern men's fashion. 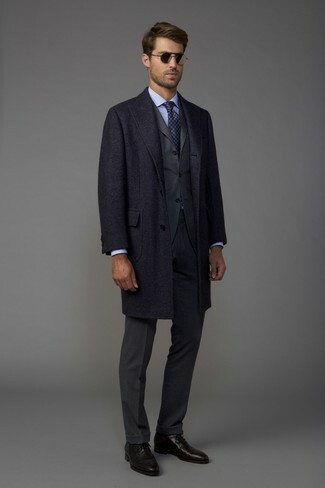 Consider wearing a Bonobos Jetsetter Slim Fit Stretch Solid Dress Shirt and a charcoal overcoat for a sharp and classy silhouette. If you want to feel a bit fancier now, add black leather oxford shoes to the equation. 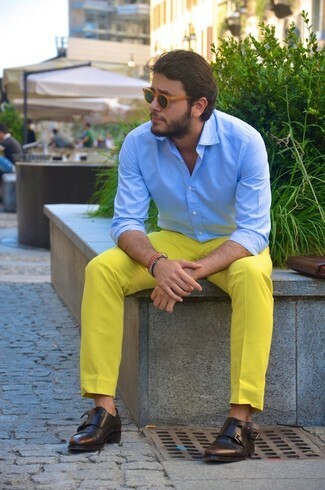 Pairing a Bonobos Jetsetter Slim Fit Stretch Solid Dress Shirt and yellow chinos is a guaranteed way to inject your wardrobe with some manly refinement. Dark brown leather double monks are a fail-safe way to breathe a touch of class into this look. 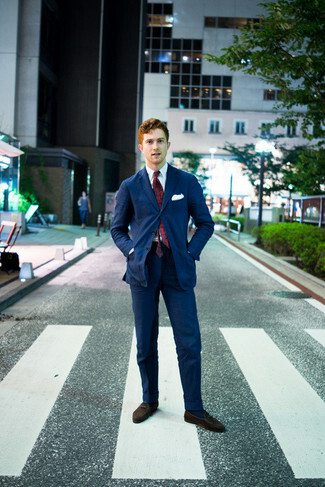 Nail the dapper look with a Bonobos Jetsetter Slim Fit Stretch Solid Dress Shirt from Nordstrom and a navy suit. Introduce dark brown leather oxford shoes to the equation and ta-da: your ensemble is complete. 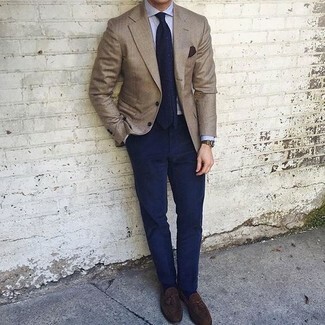 Teaming a Bonobos Jetsetter Slim Fit Stretch Solid Dress Shirt from Nordstrom with a tan suit is a nice pick for a dapper and polished getup. Put a more informal spin on an otherwise dressy getup by rocking a pair of white and brown leather brogues. 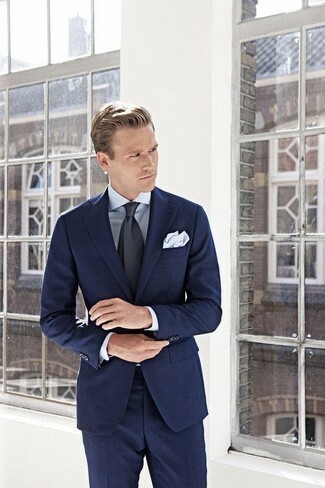 Make a light blue dress shirt and blue dress pants your outfit choice to look smooth and classic. Let your styling prowess truly shine by finishing your look with brown leather oxford shoes. 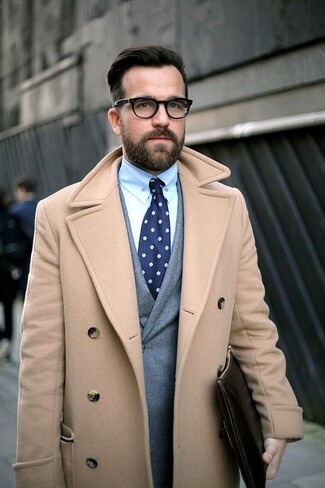 A Bonobos light blue dress shirt looks so sophisticated when matched with a camel overcoat in a modern man's look. 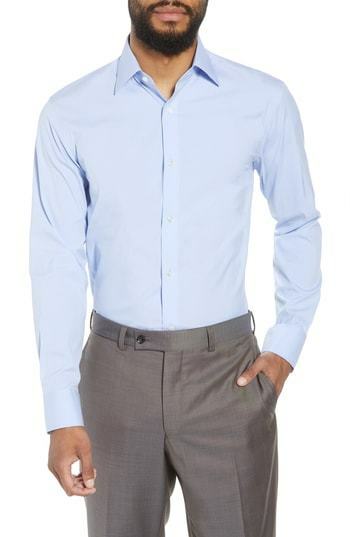 This polished combo of a Bonobos light blue dress shirt and navy dress pants will be a true exhibition of your outfit coordination skills. You can get a bit experimental with footwear and complement this outfit with a pair of dark brown suede loafers. Go for a pared down yet refined option by combining a Bonobos light blue dress shirt and navy chinos. Dark brown suede tassel loafers are the most effective way to power up your ensemble.